Funeral services will be held at 2:00 P.M., Friday, February 1, 2019 at the Shelley Family Funeral Home Chapel in Wellington, KS. Visitation will be Thursday, January 31, 2019 from 9:00 A.M. until 5:00 P.M. at the Shelley Family Funeral Home. 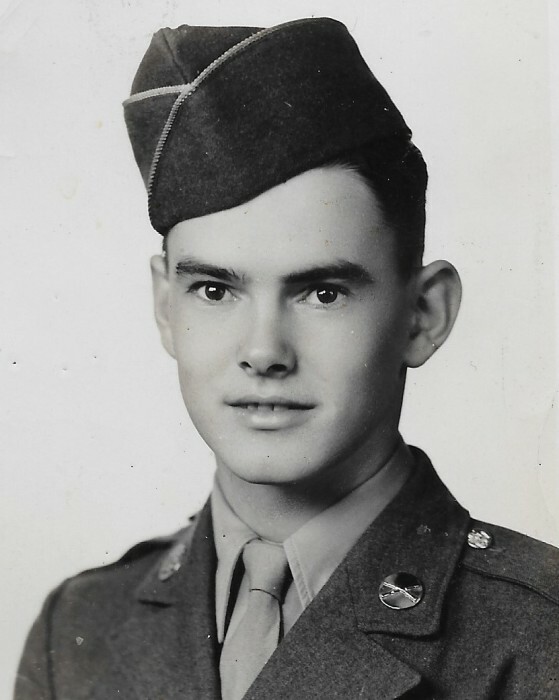 In lieu of flowers a memorial has been established with the Kansas Veterans Home Memorial Fund in Winfield and may be left with the Shelley Family Funeral Home 704 N. Washington, Wellington, KS 67152. Alan Dwight Rowan Sr. was born September 20, 1924 the son of Arthur B. and Callie Hazel (Graybeal) Rowan in Renfro, OK. He graduated from Wellington High School in 1943. Alan was a tech sergeant in the army from 1943-1947 during WW II. He served in the 5th Army and earned a bronze star. Alan was united in marriage with Violet Palmer, the couple later divorced. Alan was later united in marriage to Alice Thomas. He farmed, was an assistant manager at Montgomery Wards in Wellington and a tire store manager at Montgomery Wards in Great Bend and the maintenance manager for the 3 Ramada Inns in Wichita. He also installed carpet, painted homes. He was also a 32nd degree Mason. Alan is survived by his children: Rick Rowan (Elaine) of Oklahoma City, OK, Alan Dwight Rowan Jr. of Wellington, and Mindy Evans (Stan) of Clearwater, KS; 12 grandchildren and 10 great-grandchildren. He is preceded in death by his parents, brother, Eugene Rowan, 2 sisters: Betty Day and Maxine Rowan; 2 grandchildren: Travis Christopher Evans and Robbie John Evans; and a daughter-in-law, Linda Rowan.